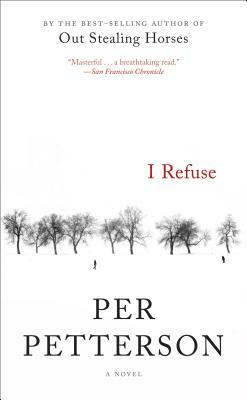 Per Petterson's I Refuse is the work of an internationally acclaimed novelist at the height of his powers. In the same spare but evocative style that made readers fall in love with Out Stealing Horses, Petterson weaves a tale of two men whose accidental meeting one morning churns up a fateful moment from their boyhood thirty-five years before. Per Petterson is the author of books including In the Wake, To Siberia, and I Curse the River of Time. Out Stealing Horses has won the IMPAC Dublin Literary Award, the Independent Foreign Fiction Prize and the Norwegian Booksellers' Prize. The New York Times Book Review named it one of the 10 best books of the year. A former bookseller, Petterson lives in Oslo, Norway.